Your body’s cells convert nutrients into energy in their mitochondria. You could say that mitochondria are molecular power plants. And if mitochondria are power plants, then L-carnitine molecules are the trucks that transport the coal fermentable biomass. That’s why sports scientists are so interested in L-carnitine supplementation. The researchers divided 22 physically active young men into two groups. One group took a placebo for two weeks; the other group took a supplement containing 2 g L-carnitine. At the end of the two weeks the researchers got the men to run for 15 minutes. The researchers also analysed the subjects’ blood: before supplementation started [Base], just before they started running [Pre], just after they finished running [Post] and again 2 [2 h] and 24 hours [24 h] afterwards. The running session boosted the concentration of the enzymes LDH and CK in the men’s blood, but the increase was noticeably less in the men who had been given carnitine. LDH and CK are markers for muscle damage. It seemed that L-carnitine supplementation reduced muscle damage. TBARS is a marker for free radical activity. These are aggressive molecules that can damage cell structure and are released during intensive physical exercise. The running session raised the concentration of TBARS in the subjects’ blood, but the increase was less in the men who had taken L-carnitine. In addition L-carnitine supplementation maintained the antioxidant functioning of the blood. Antioxidants can neutralise free radicals. Sports supplements manufacturers sometimes put L-carnitine in supplements intended to promote muscle growth. This study suggests that these supplements may indeed be effective because they reduce muscle breakdown during intensive workouts. 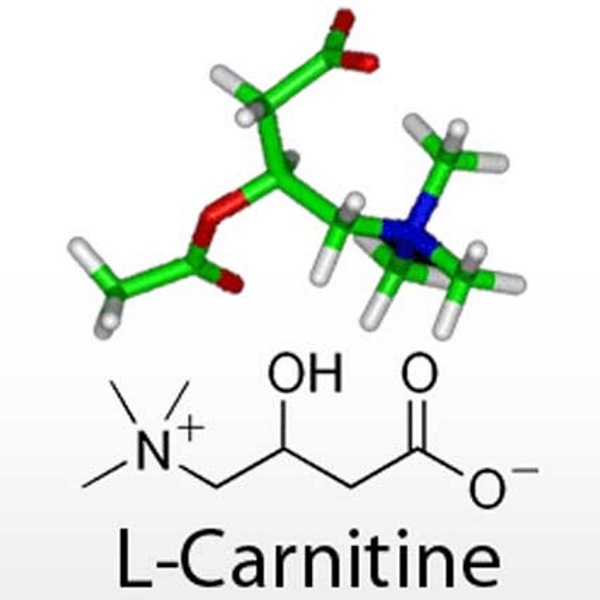 The effects of L-carnitine supplementation are inconclusive in the literature. This is probably because the body only absorbs L-carnitine in supplements if they are consumed with large quantities of carbohydrates. You can read more about this here and here. Asian J Sports Med. 2014 Jun;5(2):123-8.